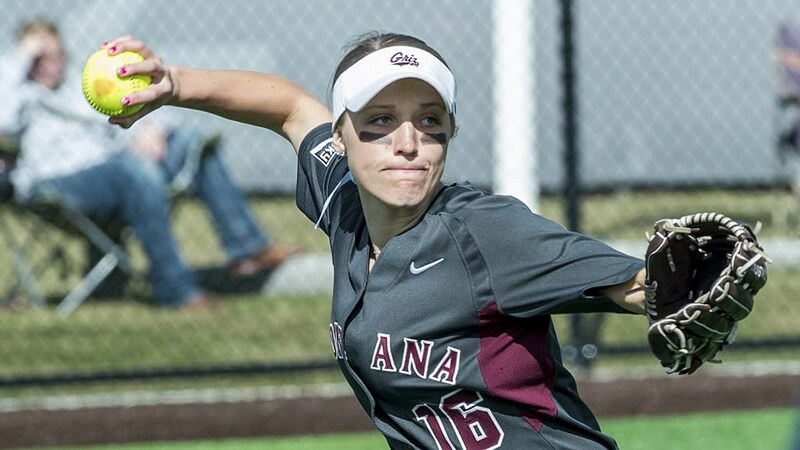 The Montana softball team has been on a roll lately, winning six of its last seven, and the Grizzlies have won 14 of their last 16 games at home dating back to last spring. That momentum will be put to a stiff test on Tuesday when Boise State comes to Missoula for a doubleheader that starts at noon at Grizzly Softball Field. The Broncos are 19-6 and off to a 2-1 start in Mountain West Conference play after winning two of three over the weekend against Colorado State. Montana dropped just one game last weekend as well while winning five at the Grizzly Classic. The Grizzlies went 3-0 against Seattle, with a pair of walk-off wins, and 2-1 against Maine. Even with the recent success, Montana is a team with some issues as the Grizzlies head into the back half of March and into Big Sky play this coming weekend. As expected, Bethany Olea, who is batting .402, and Delene Colburn, who is hitting .381 with seven home runs and a team-high 27 runs batted in, are leading the charge offensively. On the mound, freshman Michaela Hood, who went 3-0 at the Grizzly Classic, has improved her season record to 5-2 and dropped her ERA to 2.85. But the lineup suffered a blow on Friday when junior centerfielder and leadoff hitter MaKenna McGill was lost for the weekend with a knee injury. Her long-term diagnosis won’t be known until later this week, but she won’t be playing on Tuesday. “We’re preparing for the worst,” said UM coach Jamie Pinkerton. “I have said on many occasions that she is the best centerfielder in the Big Sky, so when a player like that goes down, you have to make adjustments. Montana had to adjust on the fly on the weekend after McGill was injured in the team’s second game on Friday, a 7-4 loss to Maine. Junior Alex Wardlow started the final four games of the weekend in center, and freshman Anne Mari Petrino batted leadoff twice on Saturday and in the first game on Sunday. She went 1 for 8 in three games, with a pair of swinging strikeouts in Sunday morning’s 5-2 win over Maine, a rarity for such a high-contact hitter. Junior Katie Jo Waletzko started in left in Montana’s final game of the tournament, with freshman Kylie Hayton batting leadoff as the designated player. “We’ve been lucky our first three years not to have a major injury,” said Pinkerton. “Because of when (MaKenna’s) injury happened, we haven’t had time to sort or think it through. Pinkerton won’t have long to figure it out. Montana hosts a surging Boise State team on Tuesday, then goes up against North Dakota and stud pitcher Kaylin VanDomelen on the weekend. The Broncos have used a successful formula — the nation’s seventh-best batting average and a program-changing starting pitcher — to already surpass last year’s win total of 14. Boise State was picked last in the Mountain West preseason coaches’ poll, but those coaches probably didn’t account for senior pitcher Christina Washington, who pitched for three years at Cal State Fullerton before becoming a Bronco. She is 10-3 with a 2.18 ERA this season, with nine complete games and four shutouts. Washington is complemented by freshman Kelsey Broadus, who has been used mainly in relief and has more strikeouts than Washington despite pitching in less than half the number of innings. Add to those pitchers a batting order that is hitting .353, the seventh-best average in the nation, and BSU’s 19-6 record is no fluke under third-year coach Cindy Ball, who went 26-80 her first two years in Boise. “Cindy has really turned the program around,” said Pinkerton. “They are hitting home runs, and they are hitting the ball for a high average, close to 100 points higher than we are. Offensively they are playing really well, and their ERA is way down. And Boise State has done it largely playing on the road. They are 13-4 this season in neutral-site games, 4-1 in road games. They went 4-0 in Las Vegas last month, with a 7-1 win over Big Sky favorite Weber State, scored 53 runs while going 6-0 at a tournament in Charleston, S.C. and two weeks ago scored 54 runs in five wins at Cal State Northridge’s tournament, including a 6-3 win over VanDomelen, the Big Sky leader in ERA. Montana will likely counter in one of the games with Hood, who went 3-0 with a 1.56 ERA in two starts and one relief appearance over the weekend. Colleen Driscoll also pitched in three games, with two starts, and had an ERA of 2.27. Offensively Montana will rely on the bats of Olea and Colburn, the only two players on the team with season averages better than .276. Olea ranks fourth in the Big Sky at .402 and leads the league in runs scored with 25. Colburn leads the Big Sky in home runs (7) and RBIs (27). Both players hit .438 in six games last weekend, going 7 for 16. Colburn drove in 12, with both a three-run home run and an inside-the-park grand slam. Olea scored a team-high nine runs. While they don’t have the averages of Olea and Colburn, Sydney Stites and Madison Saacke have been producing at the plate. Stites hit .300 at the Grizzly Classic, with six runs batted in and six runs scored, to up her season average to .255. Saacke batted .294 last weekend, with two doubles and a triple while driving in eight, the second-highest total on the team. History: If Tuesday’s games are like the previous Montana-Boise State matchups, don’t leave early. The Broncos won 4-3 in eight innings in 2015 and again last season when a two-run home run in the bottom of the seventh turned a 5-4 deficit into a 6-5 walk-off win. Both games were played in Boise. Team notes: Freshman Kylie Hayton had her first collegiate hit, a pinch-hit infield single in the sixth in Montana’s 12-4 win over Seattle on Saturday. … Sydney Stites doubled her career triples total over the weekend, going from two to four, with a three-bagger against Seattle on Saturday and another against Maine on Sunday. … Also hitting triples over the weekend were Madison Saacke, Gabby Martinez and Katie Jo Waletzko, giving the Grizzlies five. They entered the tournament with one triple for the season. … Waletzko’s triple was just the third hit of her career. … Montana had 11 extra-base hits at the tournament, with 11 doubles, five triples and Delene Colburn‘s two home runs. … Montana outscored Maine and Seattle in six games 44-25 but only out-hit the Black Bears and Redhawks 46-44. Ten opponent errors and 26 walks helped put Grizzlies on base. … Special shout-out to Anne Mari Petrino, who didn’t start against Seattle on Sunday but still came up big. She pinch ran in the seventh and scored on Colburn’s game-tying inside-the-park home run, then came to the plate with a runner on second and two outs and the Grizzlies trailing by a run in the eighth. She sent one back up the middle to extend the game to nine innings, where Montana won it on an Ashlyn Lyons single and a Madison Saacke fielder’s choice. … Montana went 3-0 against Seattle at the tournament and had to rally in all three games. The Grizzlies trailed 3-1 on Friday, 4-2 on Saturday and 5-0 on Sunday. … Michaela Hood allowed 17 hits in 18.0 innings of work in three appearances on the weekend, with just four earned runs allowed. She struck out 14, walked only three. Upcoming: Montana will face North Dakota (12-17) in a doubleheader on Saturday starting at 1 p.m., with a final game against the Fighting Hawks on Sunday at 1 p.m.